VLC 2.0 has been released, the powerful video playing apps new version supports even more video and audio formats and includes limited Blu-Ray playback, in addition to providing under-the-hood improvements for faster decoding with multi-core CPU’s and GPU’s. If you’re unfamiliar with VLC or you don’t have it yet, you should add it to your app repertoire. VLC can open and play just about every conceivable video and audio file format thrown at it, making the days of hunting for appropriate codecs long gone. Furthermore, if the media in question is an obscure format, you can use VLC to transcode it to a more widely compatible format, from MPEG, DIVX, H.264, WMV, and more. It’ll often even open corrupted or partially downloaded movie files when many other apps fail to do so. The other benefit is that VLC is cross platform compatible, allowing you to use the same app on Mac OS X, Windows, and Linux, all available as free downloads. VLC 2 also brings an all new interface to the app, which looks like a combination of iTunes and Windows Explorer and winds up making it more of a media manager app than just a simple movie player. If you don’t want to use it for managing any files though you can still drag and drop media onto the app to play it as usual. Why is everyone pushing this app? But I’ve noticed every “big” blog posting about it..
VLC is classic and it took them about 15 years to release version 2.0 so there is a lot of pent up excitement for an old app, it’s the same reason people get excited about a new Mario game that is now pushing 30 years old. Plus VLC is required to rip DVD’s and such with Handbrake, not that many people use those $19 coaster disk things anymore. 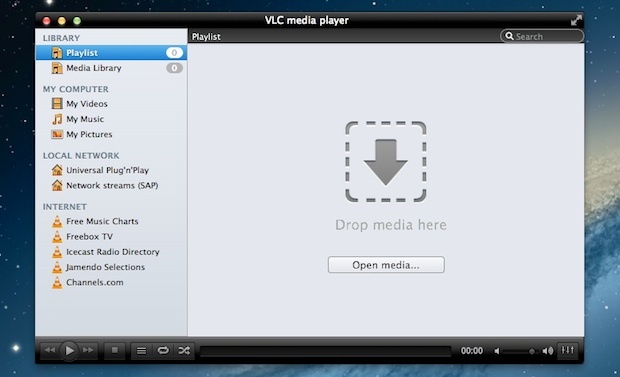 Anyone has an idea, why GPU supported video transcoding is still not a feature of the VLC 2.0 for Mac? VLC 2.0 is still sluggish in opening and skimming through mkv files. Actually most players seem to be sort of like this for whatever reason.. But MPlayerX from the mac app store plays everything I’ve thrown at it, and is by far the fastest loading player I’ve seen. I’d recommend people check this one out. I agree. Although I like VLC, MPlayerX is definitely a fast loading player. I have not problems playing any video on it yet. VLC is great. Mplayerx is really good too. For media center get xbmc or plex though. I’ve read elsewhere that this version seems to use a lot more CPU than 1.x versions. Has anyone on here experienced that? Does not stand up to my expectations yet and I do not think the new interface it was worth the fuzz. Still plays most formats and renders multi language subtitles better than the rest. Can this do anything that Movist can’t? 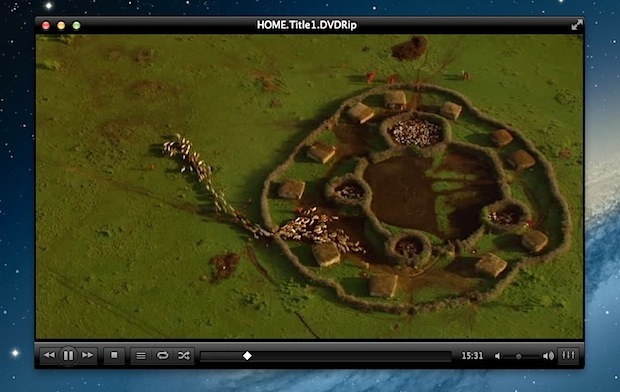 I love Movist, especially because it allows me to control the playback speed, which almost no other video player does. Version 2 has lots of bugs or problems. Dual monitor setups just do not work properly. They did in version 1.1.2. Working fine over here with dual monitors, what are you experiencing? WARNING WARNING WARNING VLC 2.0 will mess up Handbreak. So beware one or the other has to work together to fix it but as for now TimeMachine saved my backside!!! I’m running a 2.2 GHz Quad Core i7 with 8 GB of DDR3 and i am having now problems at all. Running the DVI to HDMI to a 32″ LCD. Great update! Im so excited about the faster decoding, can open more file formats including HD and experimental Blu-ray support, think now I need to do less convertings with iFunia, and just watch my videos with VLC 2.0 smoothly! I think MplayerX is much better than VLC.